A leading human rights centre, based at Middlesex University, has won two crucial human rights abuse cases against Russia at the European Court of Human Rights in Strasbourg. The European Human Rights Advocacy Centre (EHRAC), led by human rights expert Professor Philip Leach, works to support victims of human rights violations in the former Soviet Union. 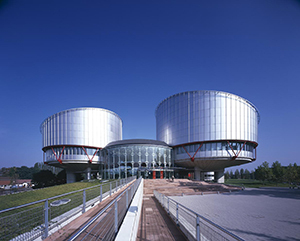 In two cases on 3rd July, Amadayev v Russia and Antayev & Others v Russia, the European Court found Russia violated the prohibition of torture and inhuman or degrading treatment under the European Convention on Human Rights against nine people of Chechen origin, living in the Kurgan Region of Russia. In both cases, the applicants were represented by lawyers at EHRAC - alongside the Russian NGO Memorial (based in Moscow). Eight applicants were found to be the victims of racial discrimination, and Russia was ordered to pay a total of €145,000 in compensation. Acts of violence were uncovered which were substantial enough to be classified as torture. The Court found that "the relevant authorities have not done all that could have been reasonably expected of them to investigate the incident, to establish the identity of those responsible and to bring them to justice." One of the victims, Zhanar-Ali Amadayev commented: "I am happy with this judgment of the Court. The most important thing for me is not the financial compensation. I still suffer from the physical consequences of the harm inflicted on me and this cannot be compensated with money. The most important thing for me is that justice exists and that the violation of my rights has been established". EHRAC has been working for the protection of human rights in the former Soviet Union since 2003 and has taken over 300 cases to the European Court of Human Rights, working in partnership with lawyers on the ground. This has led to judgments in over 100 cases (so far) including the first six judgments ever to be secured against Russia for committing gross violations in Chechnya. 96% of these cases have found at least one violation of the European Convention on Human Rights, and more than €6,500,000 in total has been awarded to the applicants.